Trailer concrete pump is modern construction equipment that can be used to pump concrete on construction site. It has characteristics of safety operation, high construction efficiency, high quality, lower cost and environmental protection. It is widely applicable to modern urban construction, airports, roads, bridges, water conservancy, electricity, energy etc. Especially, it plays an important role in the construction of super high-rise pumping and remote pumping. 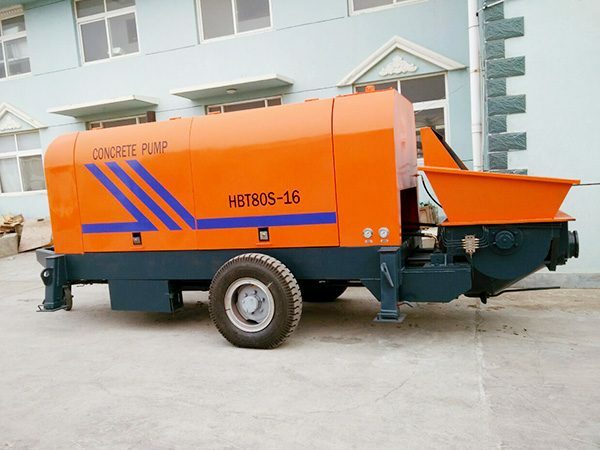 Concrete trailer pump, as a kind of concrete machinery, is used for the transportation and pouring of concrete materials in the construction scene. On the one hand, it is applicable on fine stone concrete conveying, floor heating construction, tunnel and underground construction, mortar conveying. On the other hand, it is used as spray pump when installed with incidental spraying equipment and applied for high rise conveying in railway, tunnel, bridge construction and special applications. With the development of modern industry, concrete material construction has become one of the main structures in the construction industry which occupies a large proportion in the construction engineering. 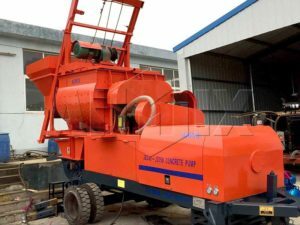 As a result, the development of concrete machinery is continuously prosperous and has a more serious situation. According to different power of engine, the concrete trailer pump our company produces can be divided into diesel concrete trailer pump and electric concrete trailer pump. 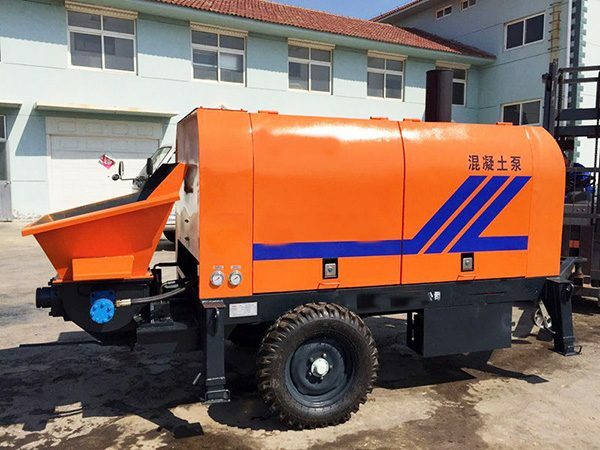 Diesel concrete trailer pump mainly consists of intelligent power control system, air control system, PLC system and plunger pump with constant power. Intelligent power control system can regulate the engine speed automatically for smooth and efficient operation. Plunger pump with constant power can ensure the efficiency of main engine. Air controlling system can keep the temperature of the machine. PLC system can ensure the stable performance of the whole machine. What’s more, there are resistant alloy in high quality and wired remote controller. All of these components will prolong the service time and improve customer experience. Hence, it is widely used in many construction areas such as water conservancy, electricity, railway, highway, tunnel, mine, national defense, etc. 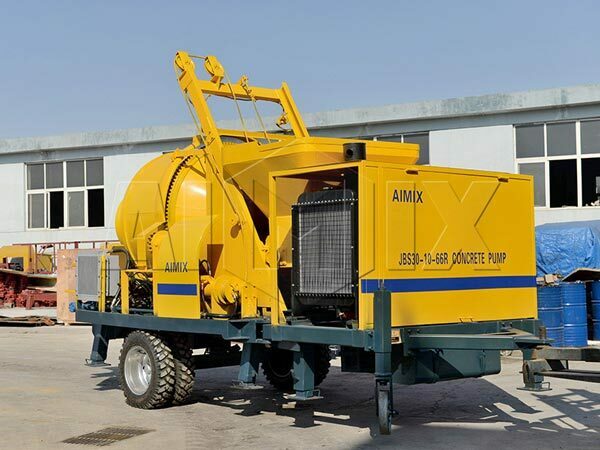 Electric concrete trailer pump has reliable performance. It adopts Italy hydraulic drive which reduces the reversing impact. The S valves are easy for maintaining and operation. The complete machine is easy to transport and install in mining construction location. It has reliable and stable performance. The core component adopts advanced technology and design. For example, the hydraulic drive comes from Italy. The raw materials in the pump body we supply are high quality resistant alloy so that the concrete trailer pump we produce has longer service time. It has a competitive price. Price is an important element to all of the customers. However, we can supply various kinds of concrete trailer pump in a relative lower price. We are sure that you must feel magical if youuse our productsin such a low price. We are a company in China. As the biggest developing country in the world, the products in China have received great reputation. The price of the goods in China is relative low. Because of the wholesituation, we can supply the concrete trailer pump in the best price. The concrete pump trailer will make more profit for you. It will save much time to maintain the machine. Honestly speaking, if the quality of your products is poor, you will spend much time and money on maintaining it. As a result, it will waste much time in the construction. All in all, the concrete trailer pump in a good quality will give you much convenience in the construction. Meanwhile, you will make an ideal profit with the help of concrete trailer pump. With more than 30 years' experience of manufacturing and exporting construction machinery to foreign countries, we can provide customers reliable services. Some of our concrete trailer pumps are on sale, welcome to contact us for latest price!